Whenever an advance against cancer is reported, it’s easy to imagine that it came about in an orderly and straightforward manner: Scientists make a discovery about the basic workings of cancer cells, and devise a treatment that interferes with the cells’ growth and division. The treatment is tested, first in laboratory experiments and then in human trials, and, if it is successful, is cleared for use in patients. More often than not, however, the route to a new cancer drug resembles a twisting road more than a straight line. An experiment may produce wholly unexpected results, pointing scientists in new directions. Results from research into one type of cancer may turn out to be equally relevant to other types. Such surprises can even change the course of a scientist’s career. My career is an example. Forty years ago, as a college undergraduate, I started working in a laboratory at Dana-Farber studying DNA repair, the process by which cells mend breaks or other damage to their DNA. In cancer cells, DNA repair often doesn’t occur properly, allowing the cells to accumulate genetic damage and grow uncontrollably. After college, I went to medical school and, after residency training, decided to enter pediatrics, specializing in pediatric leukemia. I started working on a very rare genetic disease called Fanconi anemia. Children who inherit any of the genetic mutations associated with the disease are prone to develop myeloid leukemia. In my lab, we found that blood cells from children with the disorder had a characteristic pattern of breaks in their chromosomes. The breakage occurred because the cells weren’t able to repair their DNA properly, the very problem I’d begun studying in college. A few years later, we and other researchers in the field showed that some ovarian cancers and triple-negative breast cancers have the same type of chromosome breakage that we’d seen in children with Fanconi anemia. It was a puzzling finding: Childhood leukemia is a very different disease from ovarian and triple-negative breast cancer in adult women. Every summer, we invite families of children with Fanconi anemia to a camp in Maine, where the kids have a chance to be outdoors and parents can network and learn about the disease. Eight years ago, I was at the camp and noticed that some of the mothers and aunts and grandmothers in these families had been diagnosed with ovarian or breast cancer. We collected blood samples from some of these women and brought them back to the lab where we examined them under a microscope. It quickly became clear that those ovarian tumor and blood cells had the same kind of chromosome breakage and DNA-repair abnormality that we’d seen in cells from kids with Fanconi anemia. It was a ‘eureka’ moment, but it involved an area – women’s cancers – far removed from my background in childhood leukemia. I educated myself about these diseases and began collaborating with colleagues in Dana-Farber’s Susan F. Smith Center for Women’s Cancers. Our research has led to the identification of 22 genes associated with Fanconi anemia in children and heightened risk of ovarian or breast cancer in some women. If a woman develops an ovarian or breast tumor which carries a mutation in one of these genes, the tumor is very likely to have an underlying defect in DNA repair. Such cancers are especially likely to respond to a class of drugs known as PARP inhibitors. As my own career demonstrates, surprises –­ and the freedom to respond to them – are the essence of science. It’s the unexpected finding, far more than the expected one, that drives research forward. 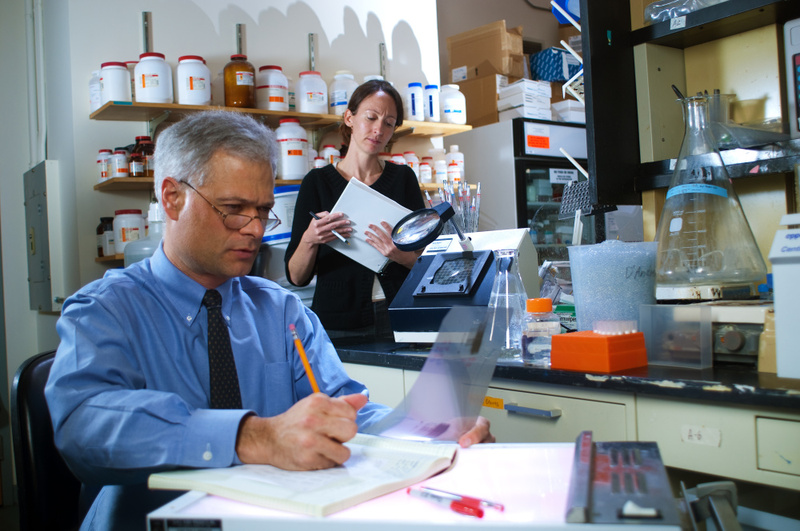 Learn more about cancer research at Dana-Farber.